Here’s a plate of chocolate cake square from the public domain. 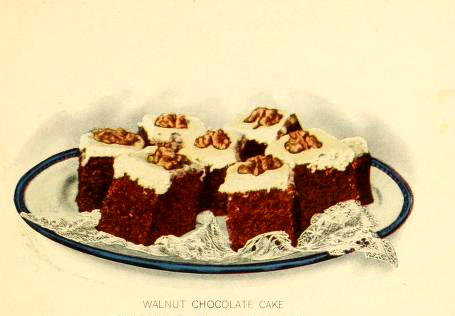 Curated from Lowney’s Cookbook from 1908. Originally archived by the Library of Congress and Archive.org.